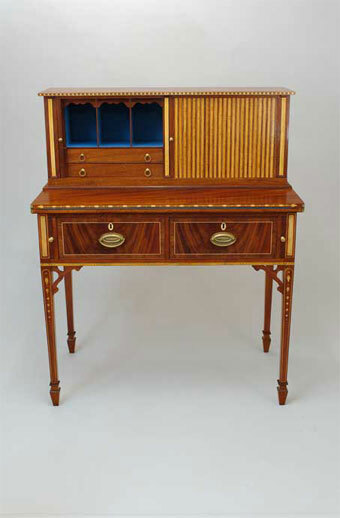 This entry was posted in Symposium, Uncategorized and tagged desk, Jay Gaynor, Robert Millard, Working Wood Symposium. Bookmark the permalink. 6 Responses to The Next Symposium! 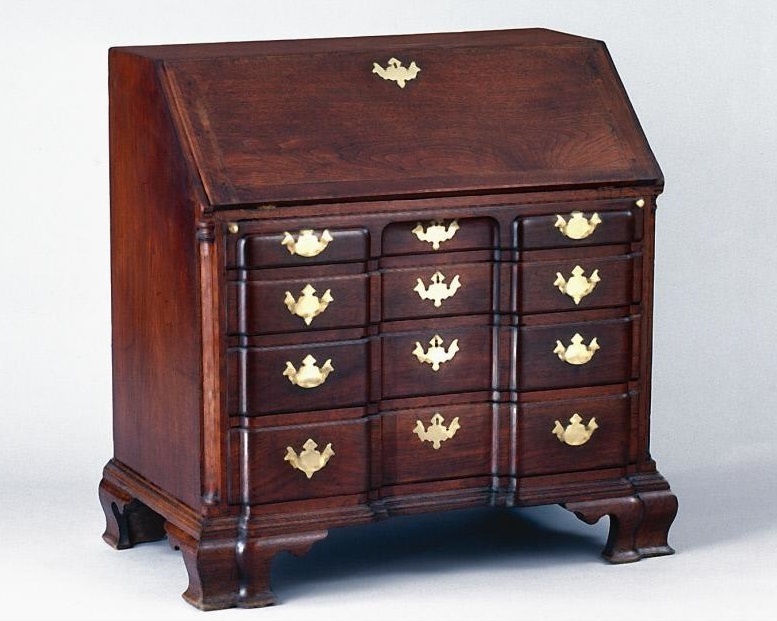 I have a couple of 4-drawer chests in the style generally known as “American Empire”. Cherry w/poplar secondary is typical, as is a high level of joinery skill. My surmise has been that these pieces were quite common in early 19th c. America, particularly the southern mountains (I’m in Arkansas). Nutting barely touches the style, and I haven’t been able to find out much about their history from other sources. Any ideas? 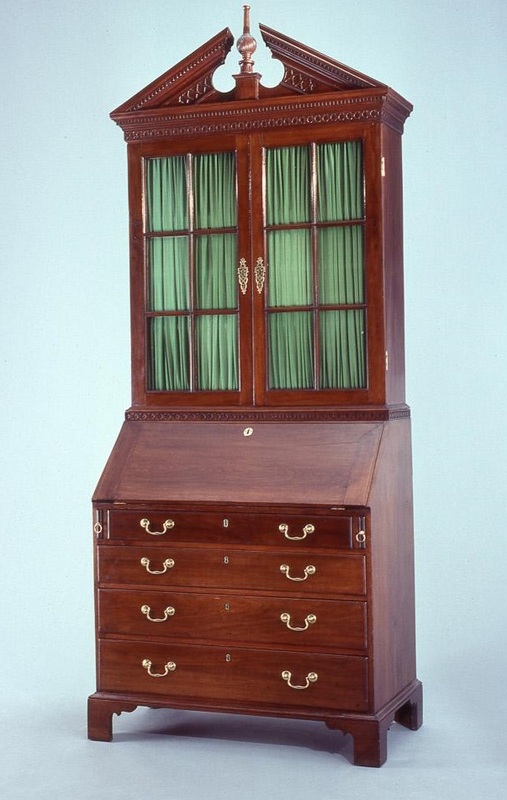 Margaret Berwind Schiffer in The Furniture and Makers of Chester County, illustrates a Delaware River Valley, probably Philadelphia, chest of drawers inlaid on the top with the initials” I B” and the date “1706”. 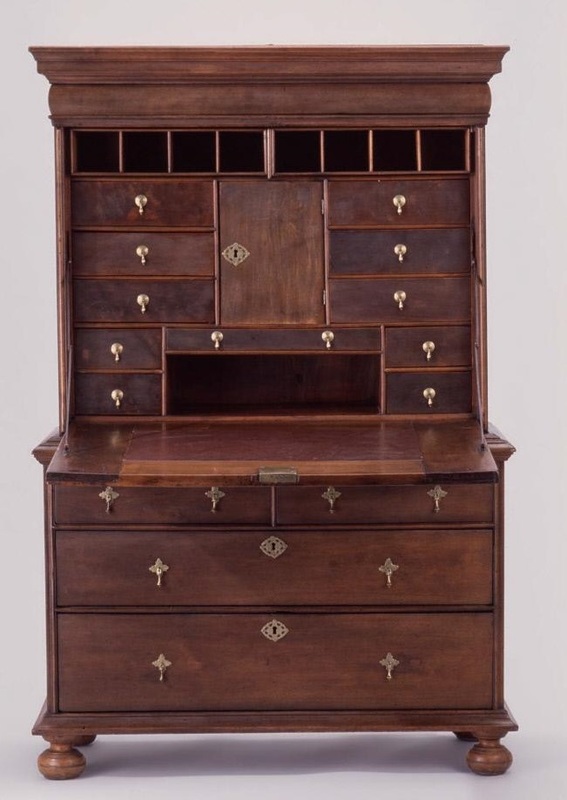 If we accept the inlaid date as the year of the chest’s manufacture it predates the scriptor by one year and may also be the earliest inlaid object surviving from the Delaware Valley. 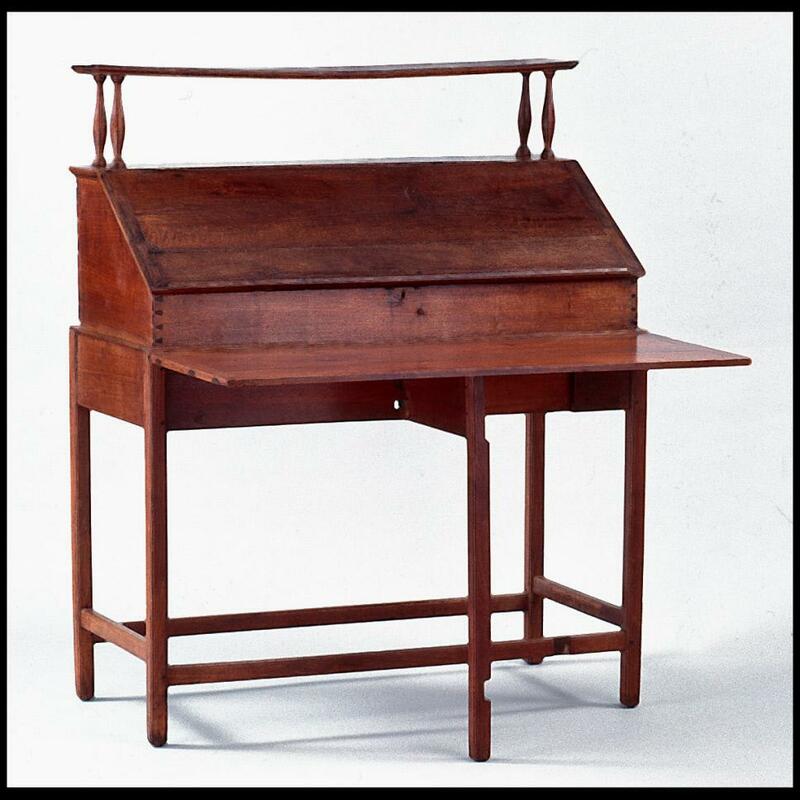 The Evans scriptor is, however, the earliest dated and signed object surviving. What do you think about the way it is signed – with individual letter and number stamps? I am not familiar with this technique being used by joiners on their furniture. Full name stamps or brands used by some Philadelphia Windsor chair makers beginning in the 1740’s is closest related way of marking I can think of. I also don’t recall letter or number stamps being present in a joiners inventory. Why would Evans have a set? Could lead type have been used on the soft white cedar drawer bottom to produce the mark? Luke, can you please give me an accession number. Whenever I link to a specific item from the CW E-Museum, the link takes me to the homepage rather than the specific object. This is happening with your link. Thanks! I’m sincerely hoping I can get away and attend this year but just in case good luck with the symposium. Your opening statement reminded me of my last visit. I decided to check out the smart phone app and had a bittersweet moment when I kept seeing pictures of Jay in just about every trade shop.